RCI has more that 4000 resorts in approximately 100 countries all around the world. RCI members can access exchange holidays and other travel related benefits and services offered at special member only pricing. As a WorldMark South Pacific Club Owner there are two ways to become a RCI member. First option is as a Privileges member, where RCI membership is a complimentary benefit. Alternatively non-privileges WorldMark South Pacific Club Owners can pay an annual subscription fee directly to RCI. RCI does not build or operate or manage resort properties. A large majority of RCI resorts are traditional timeshare properties, which means that accommodation is offered in 7 night blocks. RCI accommodation becomes available only when a traditional timeshare owner deposits their week of time into the RCI spacebank. 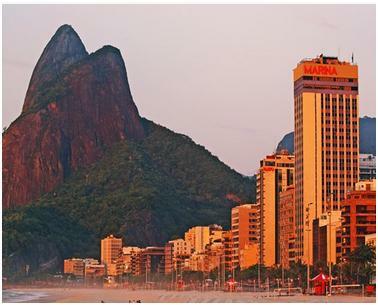 Traditional timeshare accommodation is usually check-in Friday to Friday or Saturday to Saturday. 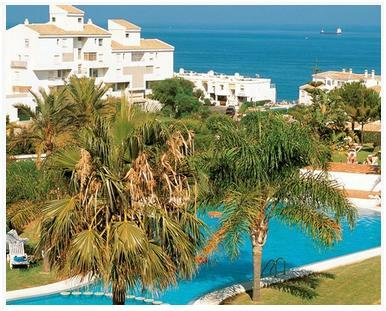 Because RCI doesn’t manage, own or operate these properties, RCI has no control over the standards and therefore it can vary significantly from resort to resort. RCI has created three distinguished Resort awards GOLD, SILVER and CUSTOMER SERVICE AND HOSPITALITY. These awards are determined annually using feedback from members and resort comment cards. It is recommended to place an on-going search for multiple holiday destinations as early as two years before your intended check-in date. There is no charge to do this. 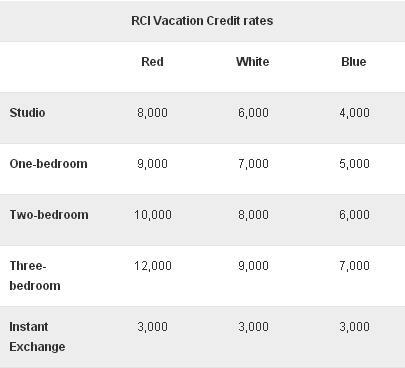 RCI will accept a standard amount of WorldMark South Pacific Club Vacation Credit Values per week as per the table above. An exchange fee will be charge when you CONFIRM your week. 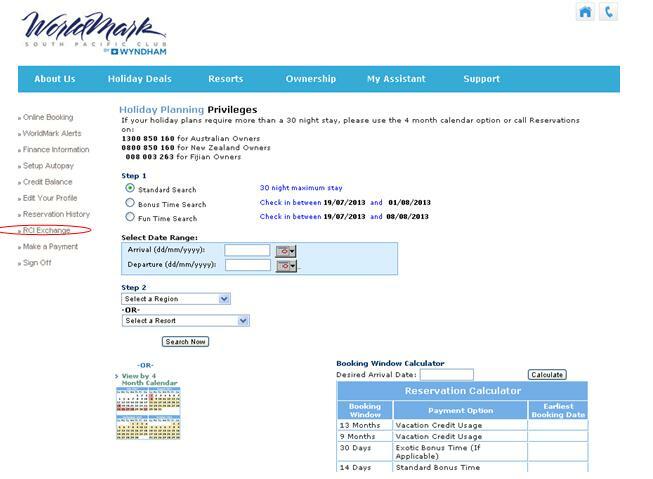 WorldMark South Pacific Club Owners that are RCI members can check availability and book their own RCI reservations by logging into the www.worldmarksp.com website and selecting RCI exchange on the left hand side of the page.